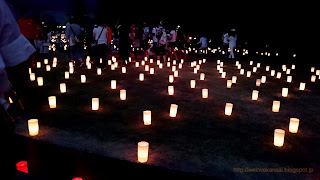 So a couple weekends ago, I was invited to explore Nara Park and its candle festival. This was my first time, but this event has taken place since 1999. It's only held during O-bon (in August, the exact dates vary), and if you work for most of O-bon (like me, cryyy), then you really only have two weekends to hussle over to see it. 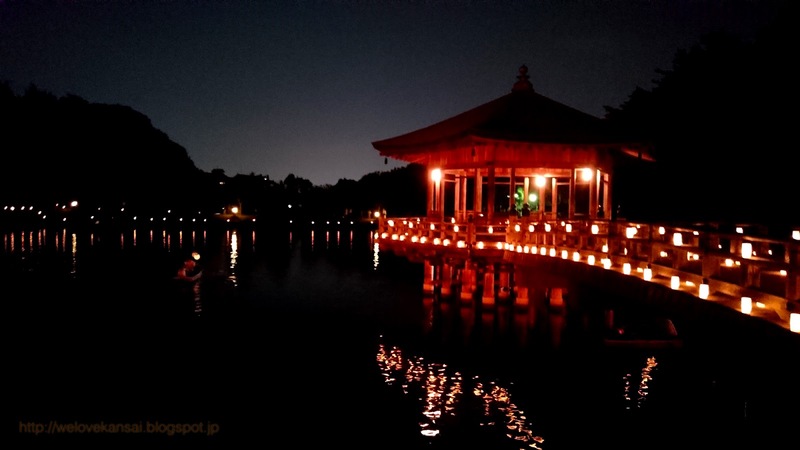 The candle festival itself obviously can't start while it's still light out, but luckily, Nara City is quite the historic area, with lots to do while it's still light out. We hit a cafe, did some sake tasting, and dropped by a few kimono shops to check out used kimono (one lady thought we were trying to return yukata, but we were wearing our own). 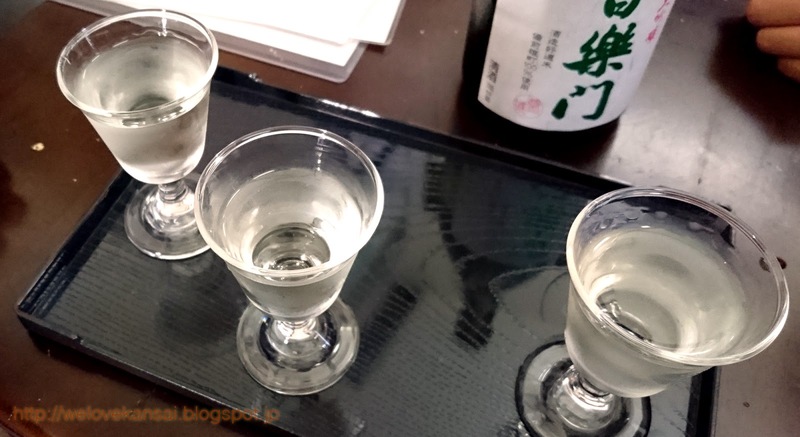 After we finished our classes,we headed down to Nara Park with some cheaper refreshments and snacks. In Japan, it's perfectly legal to imbibe in public spaces, just be mindful of your manners and always take your trash with you! Once dusk began to settle, and we were tired of having deer eat paper out of our sleeves, we wandered over to the Nara Kasugano International Forum, and began our tour. 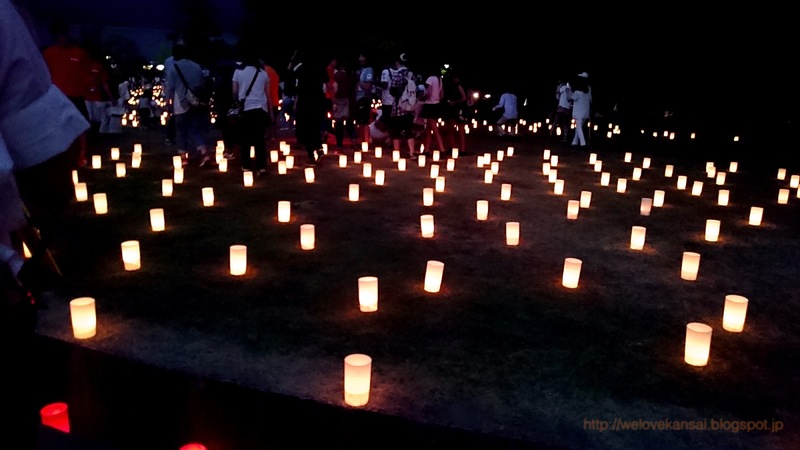 The candle displays stretch over a fairly large part of Nara Park, so if you're interested in going, I suggest you start from the Forum, head north toward the building's separate structure, then west down the hill and back toward the entrance. 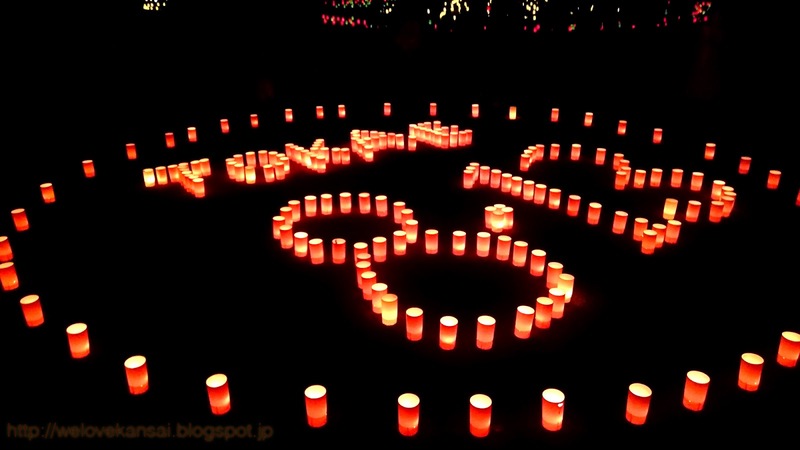 From there, you should head down the road east of Nara's National Museum and toward the gazebo Ukimido. Boat rides are available for the adventurous, but beware of the long queue. From there, we looped back around to the torii gates near the entrance of Nara Park, and got some fried foods and shaved ice. By them time we had finished our course (starting at 7pm), it was well past 9pm. It was an exhausting walk, but I am really glad I went and plan to do so again next year; sweaty yukata and all. A small shop with no chairs located in a renovated row house. It's next to a small gallery, so you can check out some art after a drink (or the other way around). They have English sake menus available. 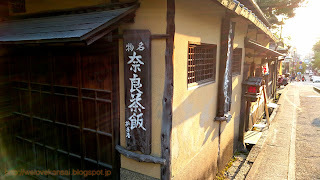 The shop featured in the photo below the sake tasting, I had no idea this was a tea shop! If you're looking to trying some traditional Japanese lunch, tea and sweets, this seems like a pretty awesome place to do it. The site is only in Japanese and the hours of operation are short, but that it par for the course with Nara. As that area is popular with tourists, I'm sure the staff will speak some English. We only very briefly walked through, but it seems to be a multipurpose structure that comes with a Noh theater. There are an assortment of reception halls and waiting rooms, which also leads me to believe that weddings are held there as well. There is a restaurant inside as well, but I don't know if it's really worth a visit just for the restaurant and gardens. If you're interested in visiting Nara, but still have your reservations about how to get around or what to do, please check out this service. 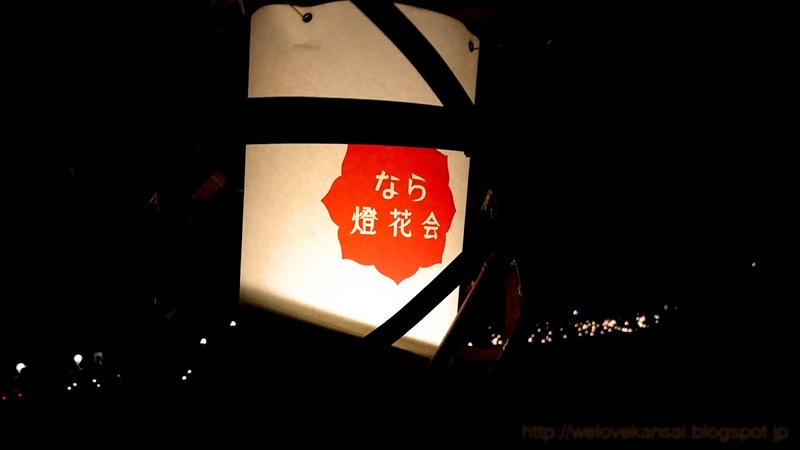 They offer tours, some created by local Japanese residents, at comparable prices and all in English. I also took some video of our time in Nara, so please check it out if you're interested! Thanks for stopping by! Questions and comments always welcome!